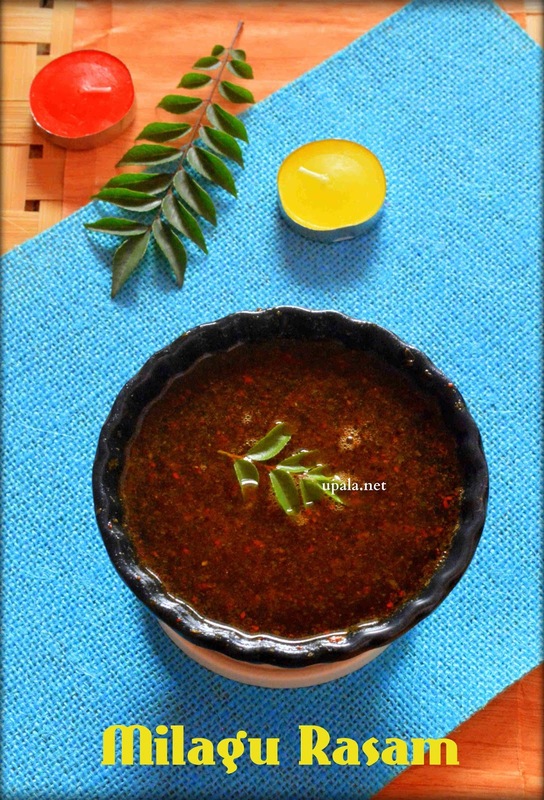 Pepper Cumin Rasam/Jeera Milagu Rasam is a spicy Rasam preferred during Rainy day. This traditional Rasam serves as an excellent home remedy when you have cough and cold. If you want a quick and easy pepper cumin rasam to prepared, I have already posted Easy pepper cumin rasam recipe. 1) Soak Tamarind in warm water for an hour. 2) Dry roast Toor dal, Pepper, Cumin seeds, Curry leaves, Hing, Red chillies till nice aroma and Toor dal turns light brown in colour. 3) Leave the dry roasted ingrediants to cool down and grind to coarse mixture. 4) Extract the juice from Tamarind pulp and add more water to the extract. Boil this tamarind water along with Salt till raw smell of tamarind goes off. 5) Now add the coarsely ground Pepper cumin powder to Tamarind water and simmer the flame to low. Leave the Rasam till frothy and switch off the flame. Do not boil the Rasam for longer time after adding Pepper cumin powder as it will lose its flavour. 6) Heat ghee in a kadai and add Mustard seeds to crackle. Pour this seasoning mixture on top of Rasam and Serve hot with Rice. Iyengar seera milagu Saathumudhu is ready. 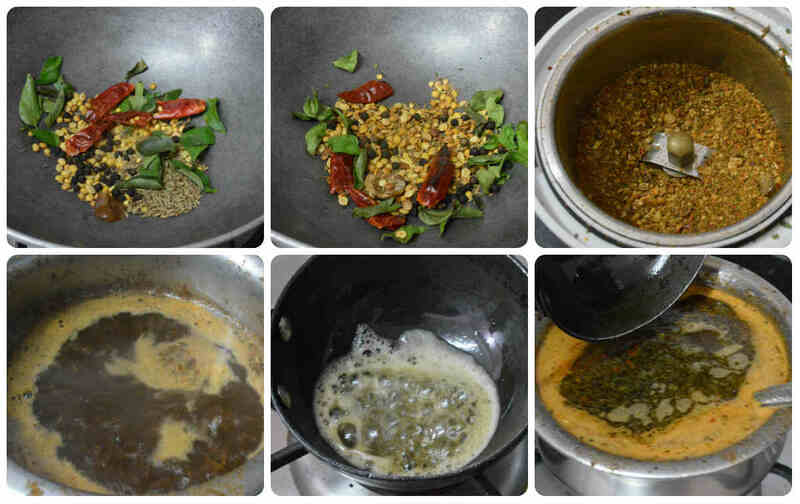 1) This Rasam has lots of variations, you can roast the ingrediants in ghee instead of dry roasting. 2) You can add fresh Curry leaves to Rasam directly in addition to the ground mixture. 3) Some prefers to add Moong dal instead of Toor dal in specific pooja days. 4) You can also add 2 finely chopped tomatoes and boil with tamarind juice then make sure to reduce the Tamarind to gooseberry size.